Wonderful lines. I especially like the upper picture, I think it’s fantastic and the lines are very descriptive. Thank you for sharing. Thanks Heidi for you input. My teaching is centered around the contour as the framework for our drawing. Its descriptive nature reveals so much. 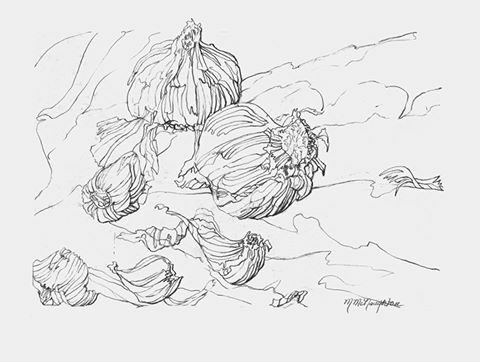 You are currently reading Garlic Still Life at Dr. Mary McNaughton and Drawing.